C'mon guys! Time to start practicing for the big day! 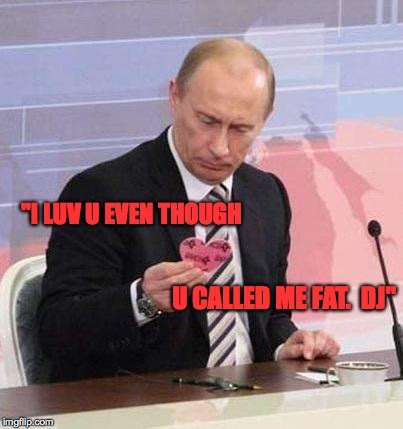 "I LUV U EVEN THOUGH; U CALLED ME FAT. DJ"